After a week of working out less and indulging in a few too many fries (I really love them), I spent Sunday making a few healthy dishes for the week. After Alison's challenge last week to actually use our cook books, I wanted to dive back into my Tone It Up nutrition plan recipes and feel lighter. The great thing about their nutrition plan is that you can indulge and not feel bad about it! I feel like I am indulging in their Carrot Salad. This is so easy to make and has that subtle sweet taste that is perfect for lunch alongside something like chicken salad. With spring just around the corner, this carrot salad is seasonal and fresh...bunny approved! 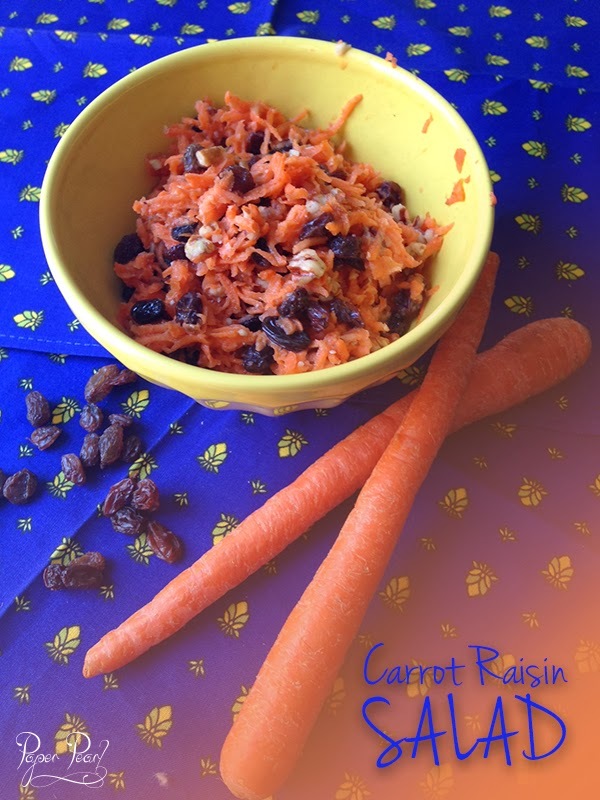 Mix carrots, raisins and pecans together. Toss with honey, then add in yogurt and lemon. Mix together until well coated. Enjoy!